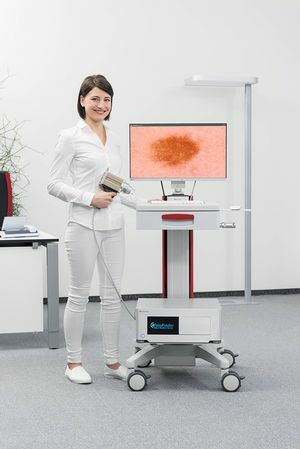 dermoscope vexia is the FotoFinder turn-key system for optimal comfort when working in dermoscopy. The equipment makes video documentation even more compact, robust and comfortable. 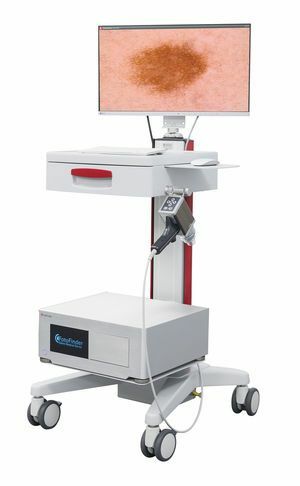 Flexible, stable and completely reliable in continuous operation, the device is the perfect complement for practices and clinics alike and brings high technology into patient care. FotoFinder dermoscope vexia is installed ready for use and, thanks to the sophisticated hardware and high-performance SQL database, it is optimally suited to networks.